Her techno-savvy credentials are what endeared Sonal Shah, 40, to US President-elect Barack Hussein Obama, who roped in the Director, Global Development, Google.org, to be a member of his Transition Advisory Board. “My work at Google involves the use of technology for innovative uses in society and it was the President-elect’s agenda to harness technological innovation for daily use,” says Shah, who’s tagged along with Obama since mid-2007 as a campaign volunteer. A postgraduate in Economics, Shah’s previous notable stints include tenures at Goldman Sachs Co. and the US Department of Treasury, during which she worked on post-conflict development in Bosnia and Kosovo—helping establish the Central Bank as also financial and payment systems. So, what does the future hold for this Indian-American? It’s a temporary job, she says, as a member of Obama’s transition advisory team. Once the President-elect takes office on January 20, 2009, it’s back to her day job at Google, unless, of course, Obama calls her up for national duty in his Cabinet. From four—when she first came to the US—to 40, Shah has, indeed, come a long way. Three years after quitting as the non-executive Chairman of the contentious Bangalore International Airport (BIAL), the ghost of the much-debated project seems to have returned to haunt Infosys Technologies Chairman & Chief Mentor N.R. 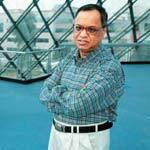 Narayana Murthy. While Murthy, 62, walked away from BIAL after an open tiff with former Prime Minister H.D. Deve Gowda, a new Karnataka legislative panel is all set to launch an inquiry—including into Murthy’s role— into the project. Murthy, however, appears unfazed. “As the Non-Executive Chairman of the company, I conducted and attended board meetings. I was not supposed to get into any activities that the executive management was supposed to handle,” he explains. While he’s no longer involved in the dayto-day operations of Infosys, the man remains as busy as ever. This latest air pocket then seems like an unwelcome distraction. 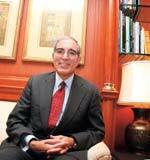 He has been counted among the most influential business and management thinkers of the world. Now Thomas A. Stewart, 60, has added another feather in his cap. The former Editor and Managing Director of Harvard Business Review has been appointed Chief Marketing and Knowledge Officer (CMKO) of global management consulting firm Booz & Company. Stewart is also a best-selling author, an authority on intellectual capital and knowledge management, and an influential thought leader on global management. In his new position, he will lead Booz & Company’s marketing, intellectual capital and knowledge management efforts. Considering the vast experience of this Harvard graduate, this assignment should be a walk in the park. He is an old indophile and spends “at least 2-3 weeks per year” in India. His immediate vision? To contribute to the creation of 10 million jobs inside and outside India. This is because Percy Barnevik, 67, renowned industrialist and management strategist, believes that social and political empowerment comes with economic empowerment. Six years ago, this former CEO of ABB pumped in several million dollars of his private funds into Hand in Hand, a development organisation based in Tamil Nadu that works to eliminate rural poverty. He has since become Advisor to the Board of Hand in Hand. “This mobilisation of poor people in rural areas into entrepreneurship and job creation is not only important from a philanthropic point of view, but will add 1-2 per cent to India’s GDP,” he says. Few will counter that. He brings with him the wealth of nations, the wealth of wisdom, that is. Noted economist Raghuram Rajan, 45, has been appointed Honorary Economic Advisor to PMO. Known to be an authority on macroeconomic issues, especially credit crisis and international governance, Rajan comes on board just before the G-20 meets to discuss the financial crisis. A former Chief Economist at the International Monetary Fund (IMF), he teaches at the University of Chicago’s Graduate School of Business. Rajan has also been appointed as the Chairman of the Planning Commission’s Committee on Financial Sector Reforms in 2007. By all accounts, the IIM-A alumnus is fully armed with credentials to be in the core team to help stave off a big fallout of the global economic turmoil on the Indian economy. He heads the world’s oldest training company and his clients include 400 of the Fortune 500 companies. Peter V. Handal is the Chairman, President & CEO of Dale Carnegie & Associates, the training firm that works with large and middle market corporate organisations to impart non-managerial training. “Our firm works on a uniquely positioned model, which is solely based on our training capacity,” says the 66-year-old, while on a visit to address the JCI World Congress in New Delhi. Handal, a Masters in Business from the University of Chicago, joined the company, which counts the likes of American Express and Citigroup as clients, in 1999, and was elected President and CEO in 2000. But, in the wake of the current economic meltdown, how’s the business doing? “We’re doing fine in countries like India, China and Saudi Arabia,” he says, adding:“These are growing markets and the demand for our services is still up.” What’s his advice to employees facing the heat? “Work harder, build networking skills and indulge in a little bit of politics,” he smirks.